The District Attorney's Office says David Brown, 40, lured his ex-girlfriend to a canal bank on June 5, 2018. 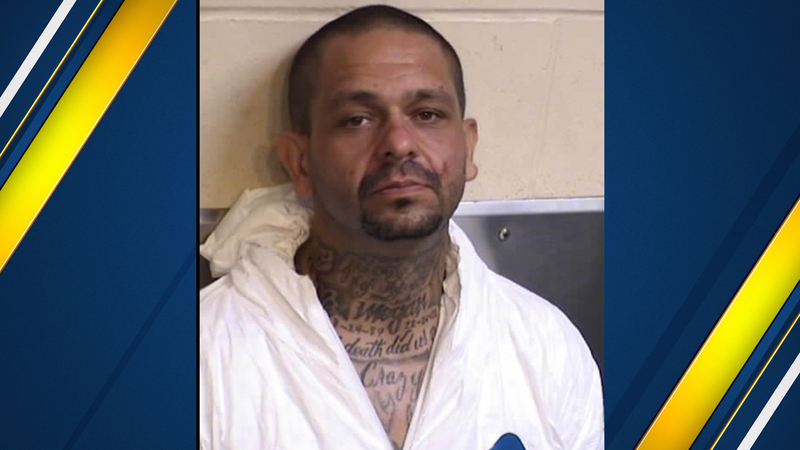 FRESNO, Calif. (KFSN) -- A Clovis man has been convicted of trying to murder his ex-girlfriend before leading Sheriff's deputies on a high-speed chase, according to the Fresno County District Attorney's Office. The District Attorney's Office says David Brown, 40, lured his ex-girlfriend to a canal bank on June 5, 2018. Once there, Brown shot the woman twice; when his gun jammed he dragged her to the edge of the canal and kicked her into the water. The victim was able to climb out but it took about an hour and a half before anybody found her. Later that day, Brown led deputies on a high-speed chase through Fresno and Clovis, until he crashed near Bullard and First and was arrested. According to the District Attorney's Office, after Brown's arrest, he tried to intimidate the victim into lying or not coming to court in a series of record calls. Brown has a criminal history, he has been previously convicted of three prior Strike Offenses, twice for bank robbery in 2004, and once for attempted robbery in 2012. He will be sentenced in December and faces over 200 years to life in prison. However, once he reaches the age of 60 and after serving 25 years, Brown will be eligible for release under the Elderly Parole Program.